Starting in May 2016, EarnHoney users can donate their HD$ to their favorite non-profit 501(c)3 organizations. Contributions are tax deductible to the fullest extent permitted by law. You will receive a donation receipt when the donation is distributed. What documentation do I need for the IRS? You will receive a donation receipt via email after the funds are processed and distributed. How can I submit new Non-Profits for review and allow all EarnHoney members to donate to it? The non-profit must be a registered 501(c)3 organization. Please upload the registration documentation along with your request. You are done! Once approved, all EarnHoney users can see your non-profit and donate to it. This is a great way to do fund-raising as well! 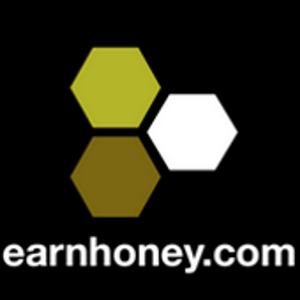 Use EarnHoney as your non-profit's fundraising platform. Invite people to donate their time by taking surveys, watching videos, and playing games. Share with your friends, and get referral bonus. Where can I read more information about the non-profit that I am donating to? I work at a non-profit. Can we have a co-branding opportunity? Absolutely! Now accepting co-branding opportunities. Please contact us if interested.